For the fifth edition of the Torino Underground Cinefest, an independent film festival conceived and directed by the Turin director Mauro Russo Rouge and proposed by SystemOut and A.C.S.D. ArtInmovimento, there will be two technical juries that will evaluate respectively the 21 short films and 7 feature films, which were selected among the 2438 films that came from all over the world. From March 25th to 27th, from 6.50 pm to 1.30 am, the two juries will be engaged at the Cinema Classico of Turin, in a work of comparison and analysis of the films in competition. The Jury of Short Films, presided by Annunziato Gentiluomo (1977) -PhD in Sciences and Communication Project, President of the ArtInMovimento Association, Director in charge of the online publication ArtInMovimento Magazine, Vice-President of the SystemOut Association- is composed by: Stefano Semeria (1979) -cinema editor of several art magazines (ArtApp) and various online blogs both in Italian and foreign languages-; Chiara Trompetto (1978) -author of poems, journalist and one of the founders of ArtInMovimento Magazine-; Silvia Lombardi (1983) -graduated in Performing Anthropology at the DAMS of Bologna, responsible of dealing with the press office, organizational secretariat of events related to the show, and writes for the six-month Art App-; Luca Puggioni (1994) -graduate of the Turin Holden School and director of the movie and tv reviews site Why So Serial ?-; Monica Merante (1973) -passionate about cinema and graduated in Economics and Social Sciences at the University of Calabria with a thesis on television and daily life-. 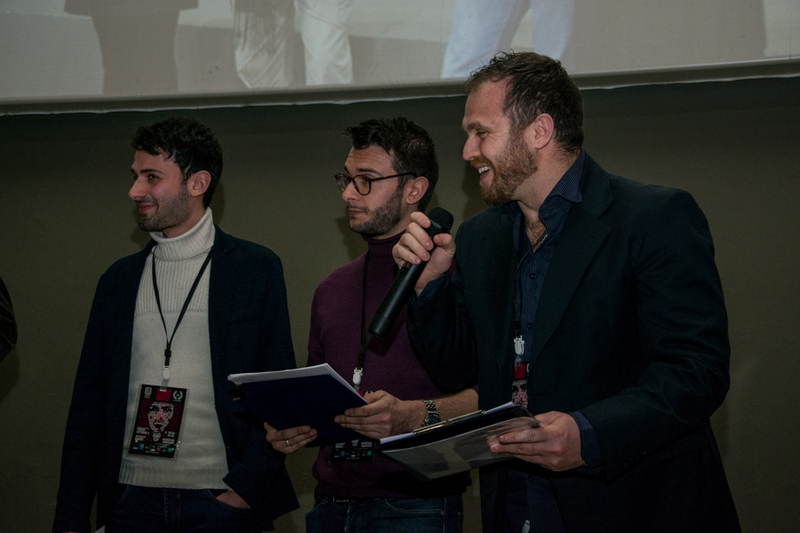 The Feature Films Jury, chaired by Fabrizio Odetto -actor and dubber-, is composed by: Giorgio Perno -actor, dubber, speaker and producer-; Luca Sartore (1988) -organist, harpsichordist, director and writer-; Alessio Brusco –screenwriter graduated from the Scuola Holden of Turin-; and Davis Alfano -director of photography and shooting techniques teacher-. ‘For this editin we have thought to instruct two juries in order to dedicate our attention in a more specific way to both the main forms in which the seventh art is realized. We have chosen professionals in the sector, who will be able to observe films with minuteness, and to evaluate the twenty-eight films that we have selected. It will not be easy for them, because several products are extremely valuable. In fact, I foresee several merit mentions expressed by both juries’, states artistic director Mauro Russo Rouge. ‘I have read the synopsis and saw the trailers of short fimls and I have to say that it will not be easy to decree the best work. I already had the opportunity to speak several times with the other members of the jury. 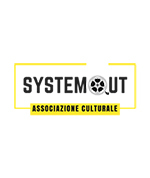 We agreed that we will evaluate the products through a multi-perspective, rewarding the ability to thrill as well as the artistic manufacture in its strict sense’, declares Annunziato Gentiluomo, President of the Association ArtInMovimento and Vice President of the SystemOut Association. The Scotland, Iset and RecTv Law Firm support the initiative with a voluntary contribution.